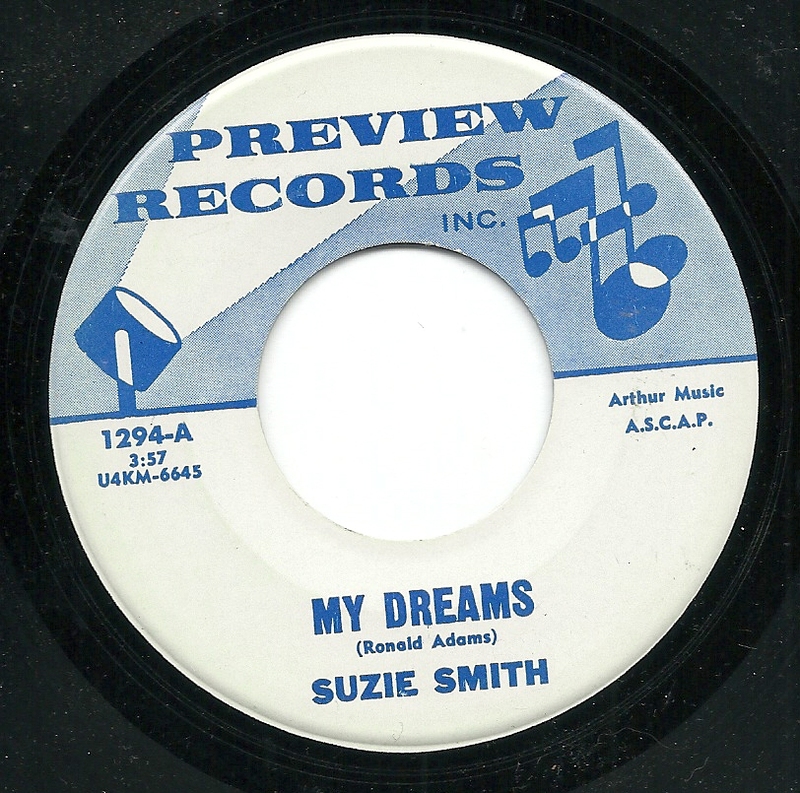 Today we have a single on the Preview label by Suzie Smith, who was also heard a few times in the duo "Suzie and Rodd", and all in all, on a dozen or so Preview releases from the mid 1960's. And Rodd Keith sounds like he's all over this one, too - both tracks, particularly the first one I'm sharing, have the unmistakable sound of Rodd. And what's more, they both sound - to my ears, at least - like something I'd expect to hear from a cool, laid back, but oh so chic combo at a fancy affair/coming out party/ cotillion, etc., particularly the second song I'll be sharing. 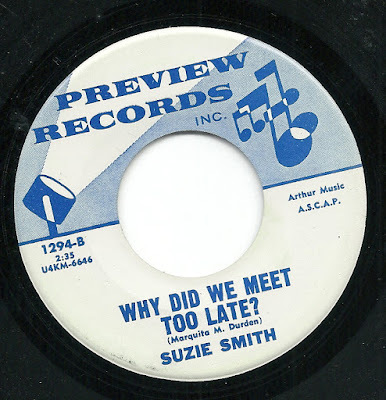 "Why Did We Meet Too Late? ", I think, is the stronger of the two. I would bet a few nickels that the very direct and heartfelt (if also amateurish) lyrics came from the song-poet's own life. 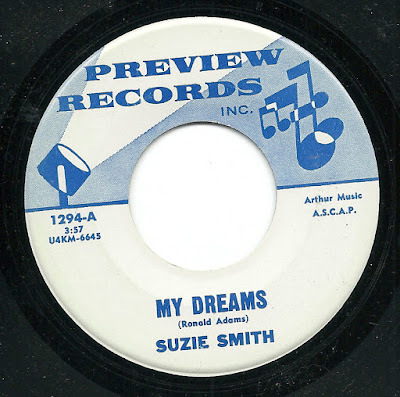 The smooth, soft pop backing has quite a few little things to recommend it, particularly the tasty little piano fills, and Suzie Smith's singing is engaging enough to make this listener (given that I am one who is not particularly drawn to most of the female song-poem singers - Cara Stewart being the exception) wish she was on a lot more Preview releases. Download: Suzie Smith - Why Did We Meet Too Late? On the flip side, we have the extremely Country-Club-sounding "My Dreams". This one starts out strongly, an appealing waltz with a lilting melody introducing the verse, somewhat-more-than-usually effective lyrics, and another really nice vocal. 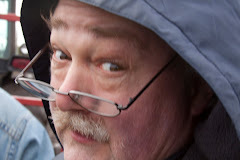 But then it goes on. And on. And on. More of that lilting melody gives way to a lengthy (and boring) piano solo on the baritone keys, and by the time it's done, the solos have stretched for over a minute, and the record drags on for nearly four minutes total. A good edit would have helped this one a lot.